You don't have to stretch your watercolor paper - it's a personal choice that depends on your tolerance for a bumpy painting surface (which is what happens to most watercolor paper when it gets wet). You can also avoid stretching if you use a heavy-weight (300 lb.) 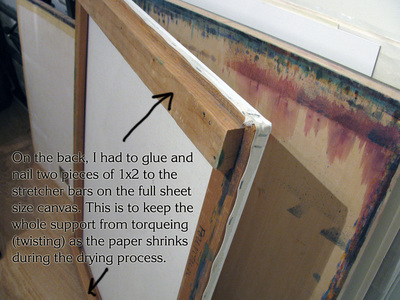 watercolor paper, or if you work on watercolor board (paper mounted to a rigid backing), or use watercolor blocks (where the sheets of paper are glued all the way around the edges and attached to a stiff backing. Lighter weight watercolor paper (140 lb. or less) will not stay flat when watercolor is applied to it in any manner other than dry brush. 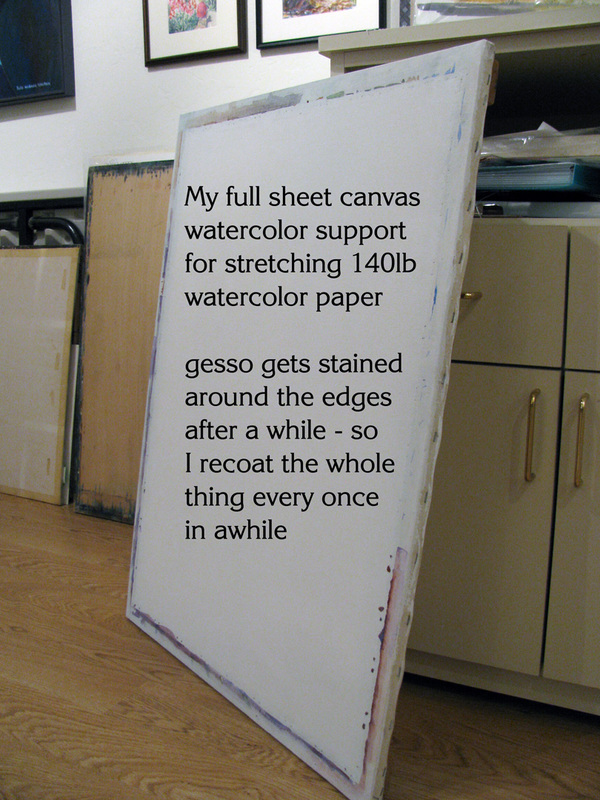 I like my paintings to stay flat while I'm working, and be flat when I'm finished, so if I'm going to use sheets of 140 lb. paper, I stretch it. You can staple or tape your paper to any rigid surface that is thick enough to resist warping when the wet watercolor paper shrinks as it dries. I have several 40 year old wood drawing boards that I use, and also a lighter weight frame that is basically a reinforced stretched and gessoed canvas. 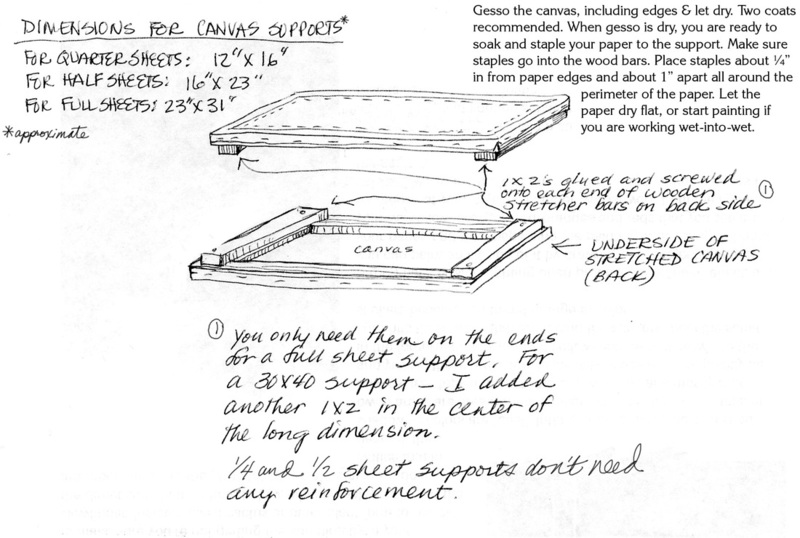 Below are the directions for making this frame, which needs to be an inch larger in each dimension than the paper you will stretch on it.